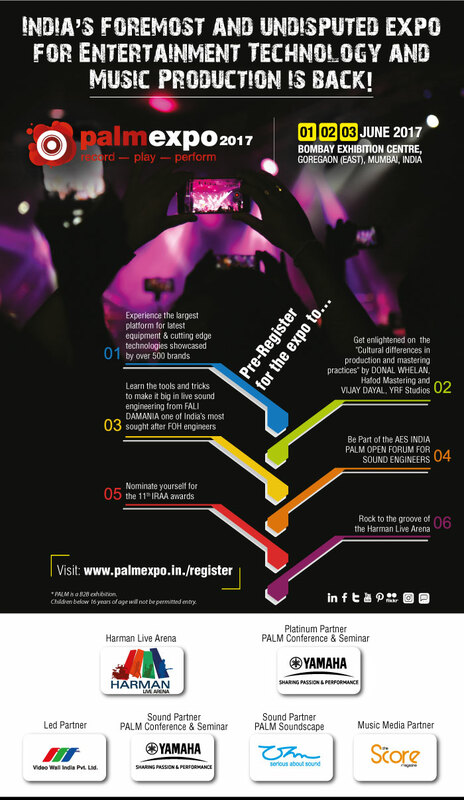 Call for participation at PALM 2017 INDIA. 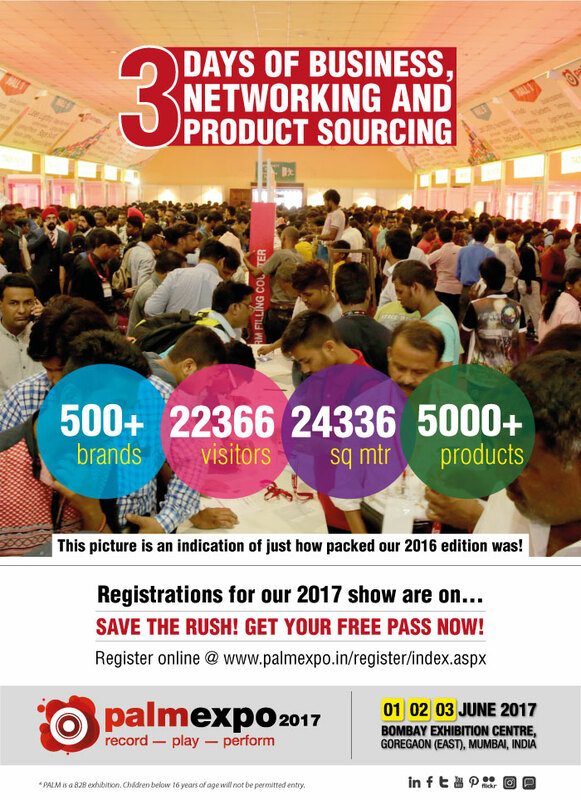 PALM Expo India 2017 Sponsorship Opportunities. 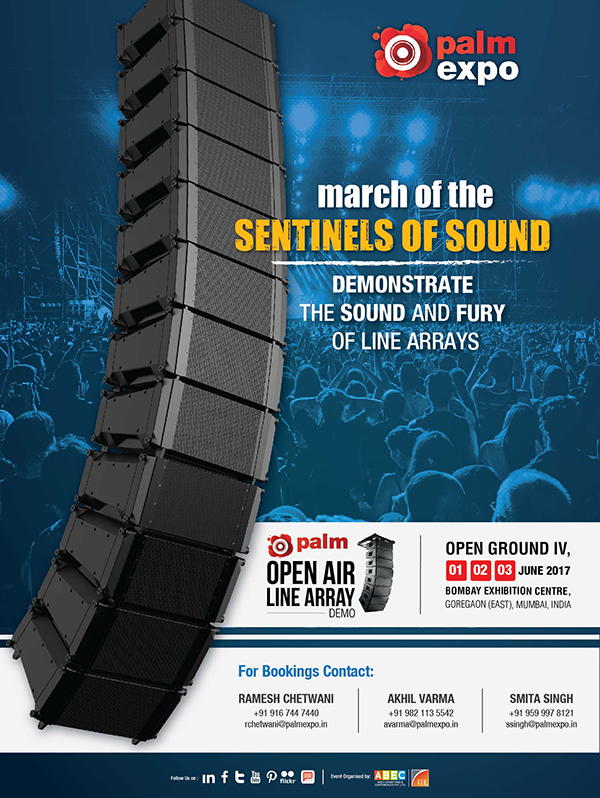 Book your slot at the PALM Open Air Line Array Demo! 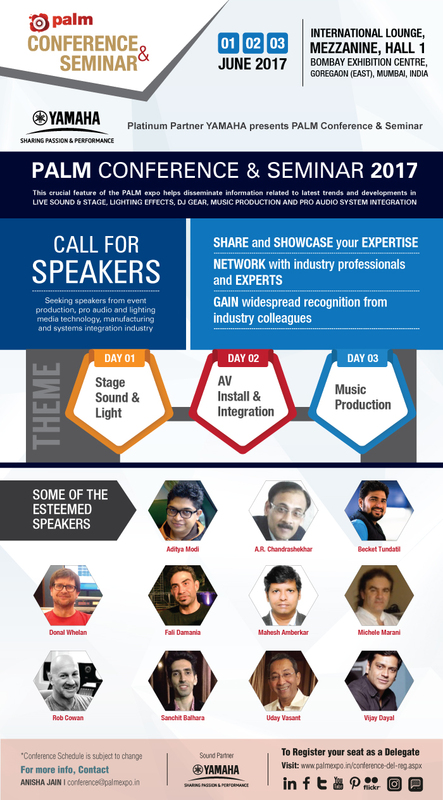 PALM Conference & Seminar 2017: Call for Speakers. 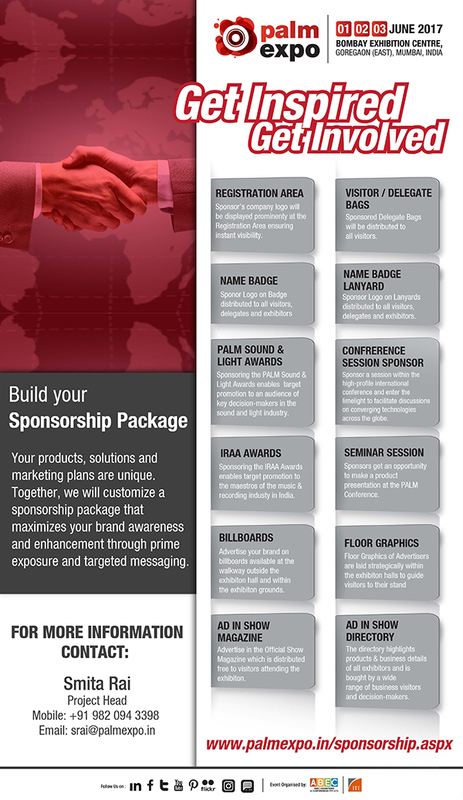 Maximize your Brand Awareness through PALM Sponsorship Packages. 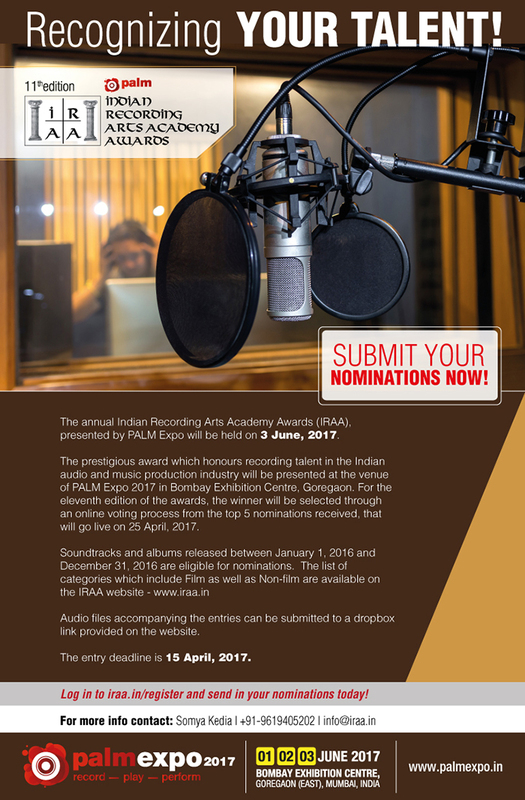 IRAA 2017 CALL FOR NOMINATIONS. 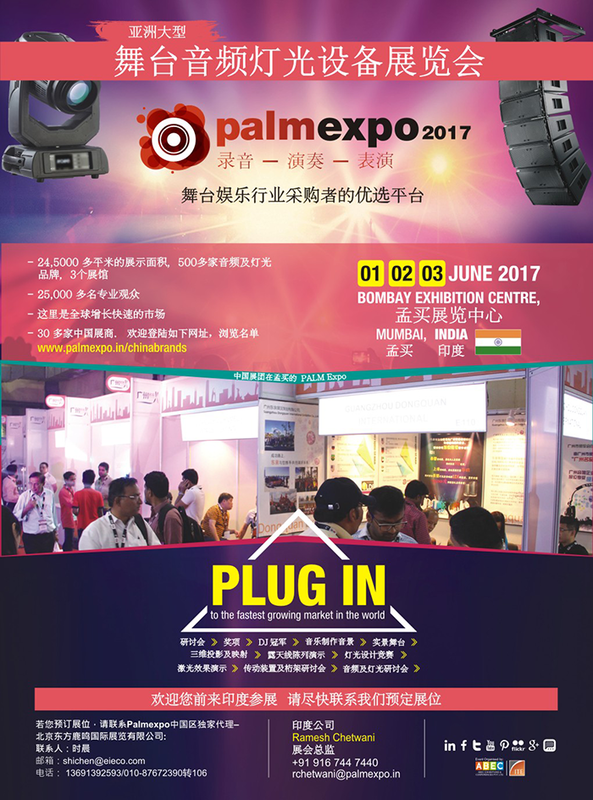 PALM Expo 2017, INDIA: Plan Your Presence. 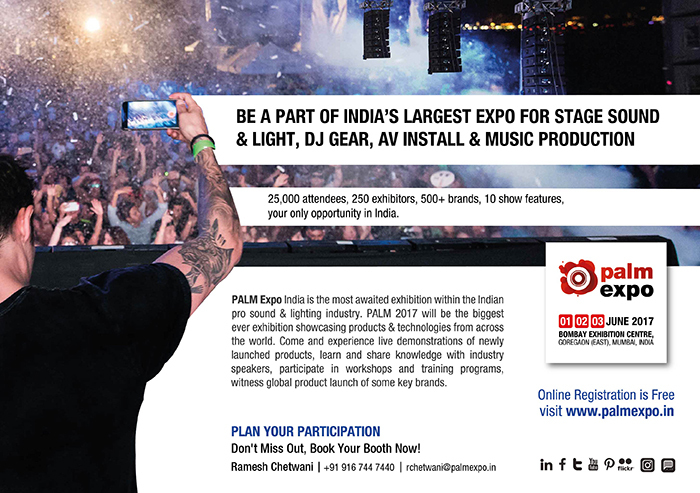 Be there to explore the best in stage sound, lighting and DJ tech; 90 Days to go! Introduce your technology and solutions to a discerning market. 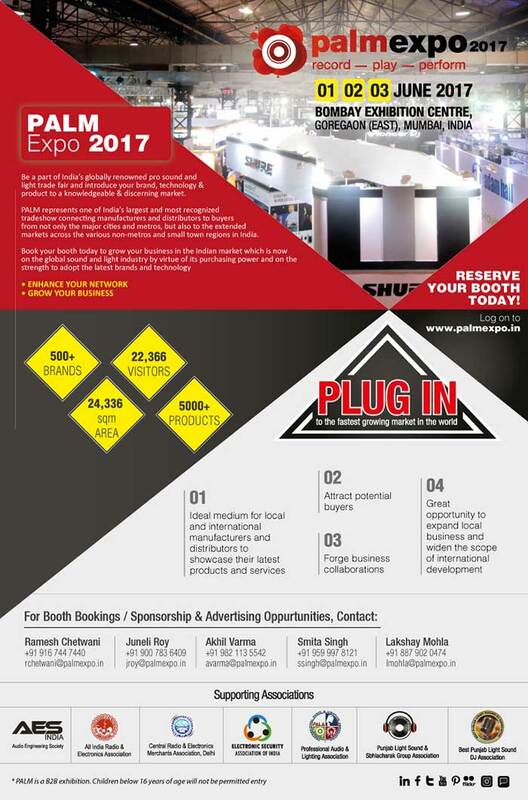 Book you booth at PALM 2017 now! 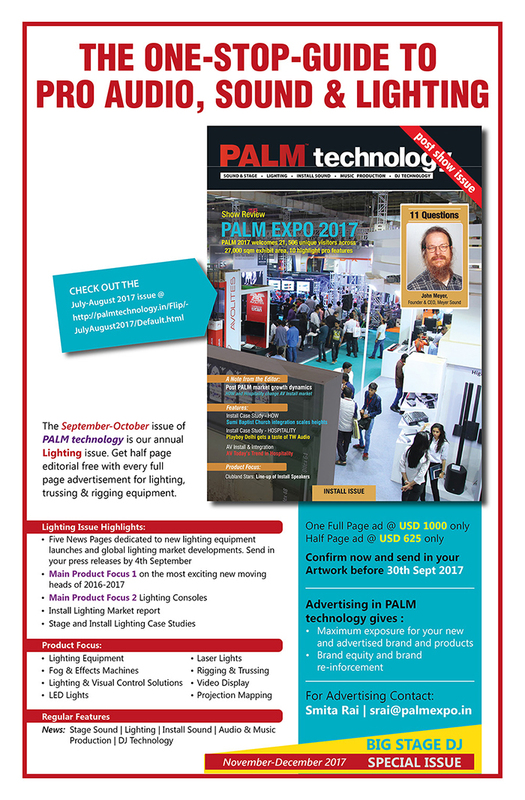 PALM Conference & Seminar 2017: Register Now to Attend! Shoot to fame with the 7th Annual DJ championship. Register Now! 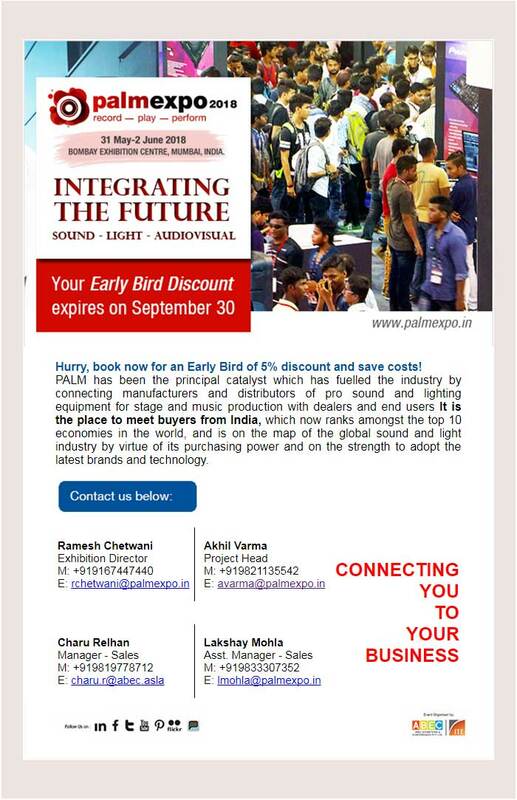 PALM Show magazine 2017: Your window of opportunity to target the robust Indian market. 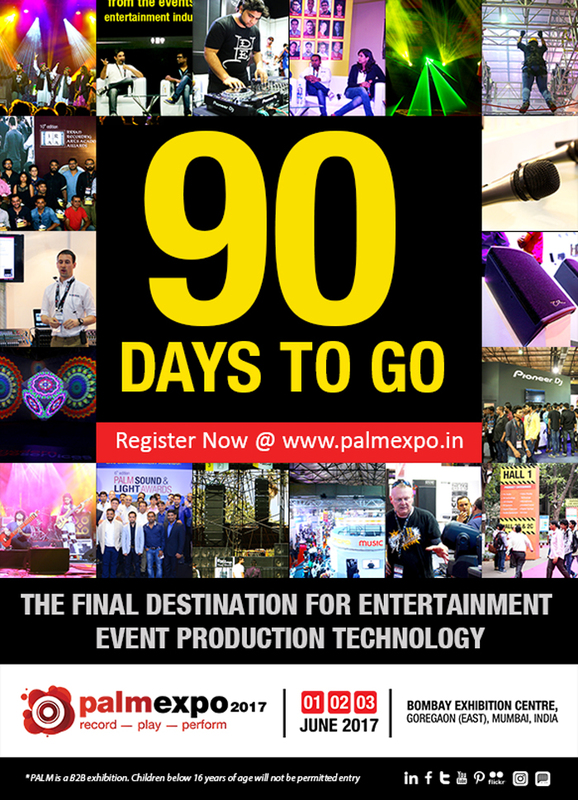 PALM Expo 2017: The Final Destination for Entertainment Event Production Technology, Register Now! Join us for the PALM Leadership Conference; Register now! 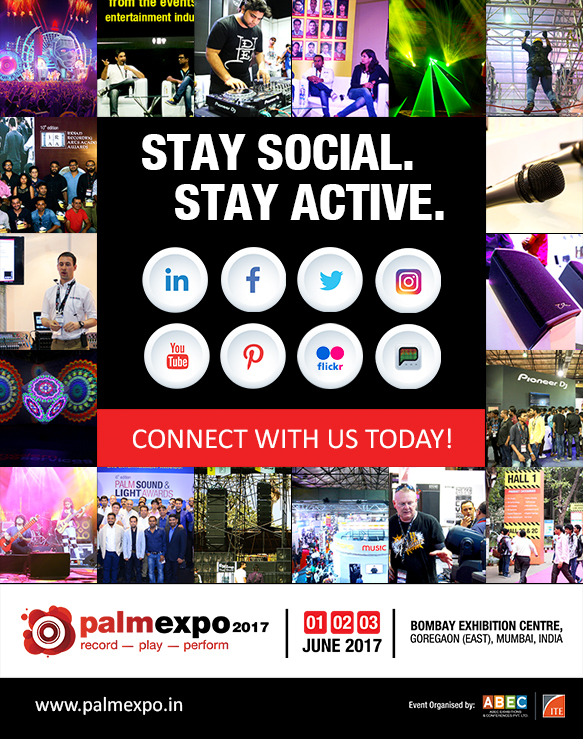 PALM Expo 2017: Pre-Register for Free Attendance! 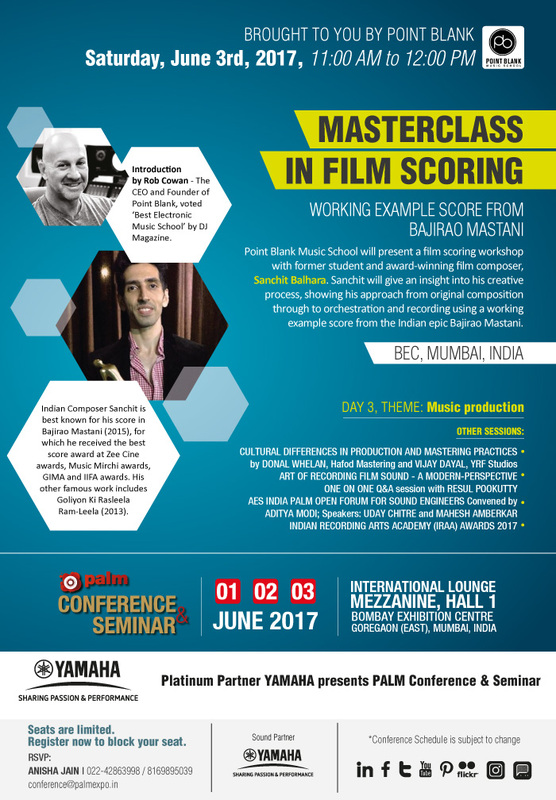 PALM Conference & Seminar 2017: Call for speakers! Get Your Personalized Entry Badge to PALM 2017. Register Now! 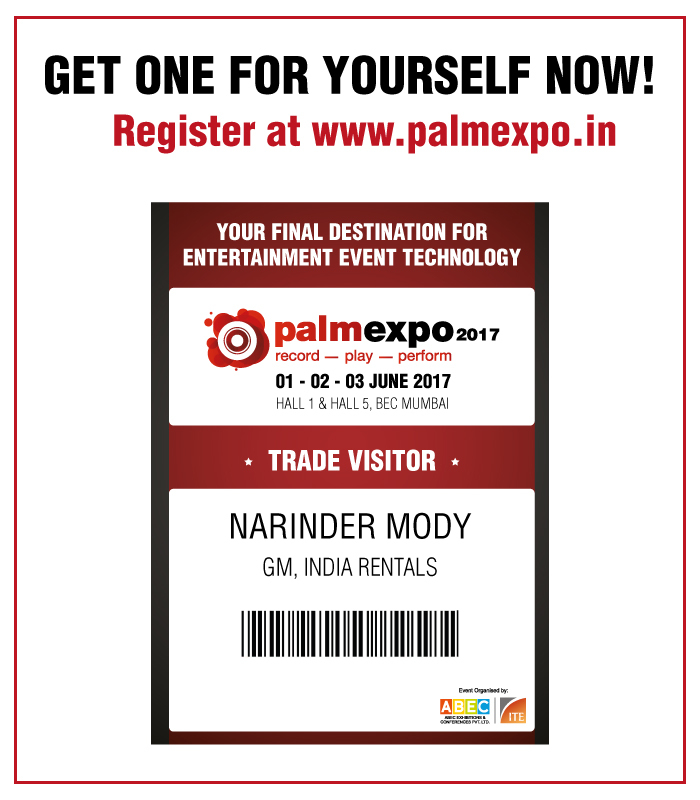 PALM Expo 2017: Register Online to Avail Free Entry! 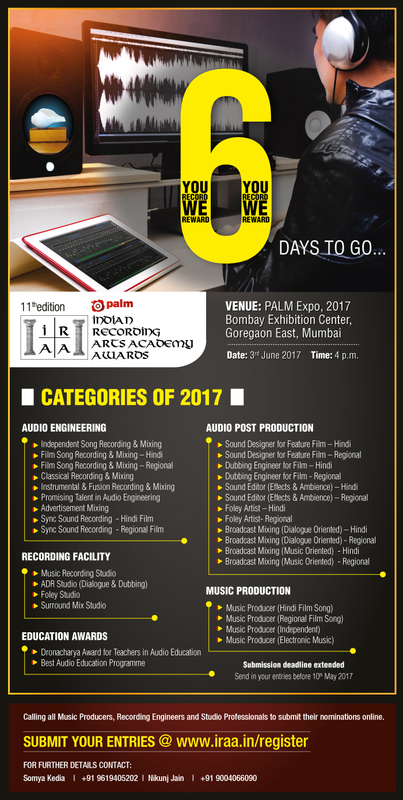 Only 6 Days Before Nominations Close; Submit Your Entries for IRAA Awards 2017 Before 10th May! Thank You for Making PALM 2017 a Success! Early Bird Discount Closes 30th September. 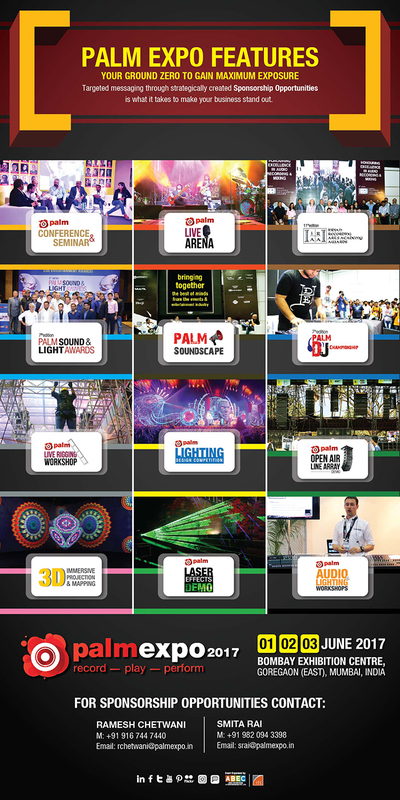 Confirm your participation in PALM 2018 now! 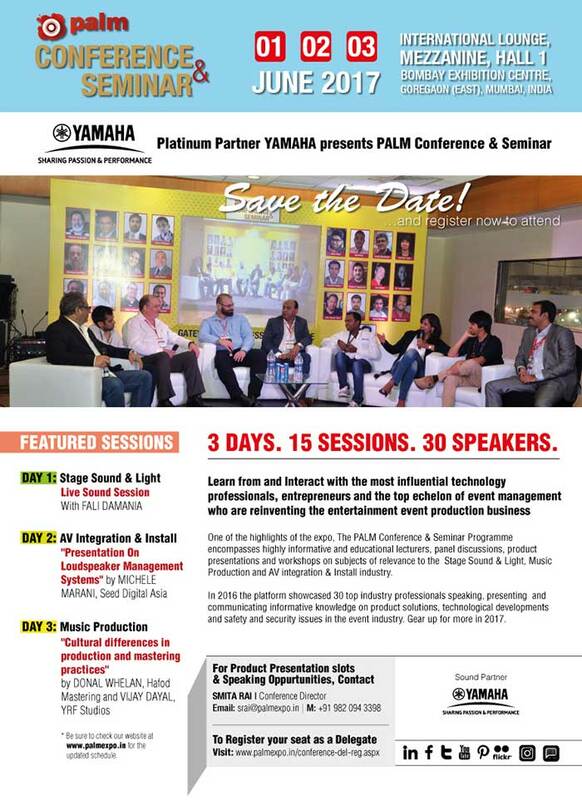 Be a part of the PALM Conference & Seminar Programme 2018; Send in your suggestions now! 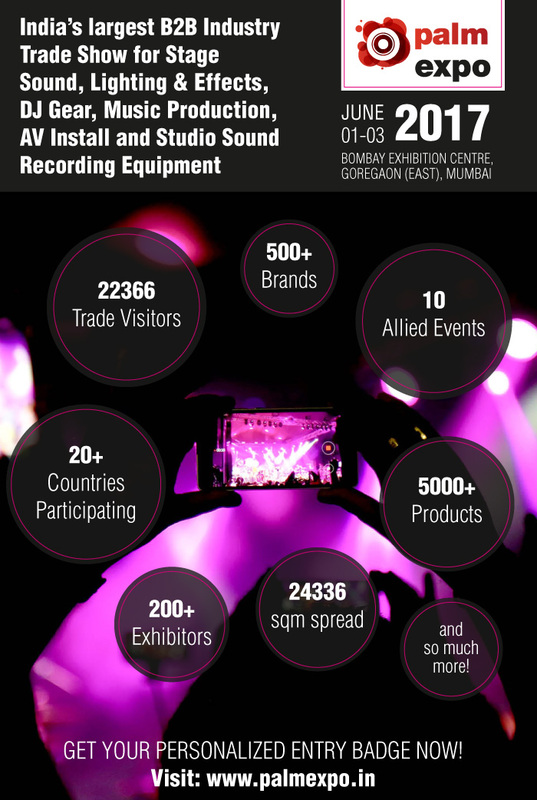 PALM 2018 to showcase cinema sound and projection systems! Book your booth space now! 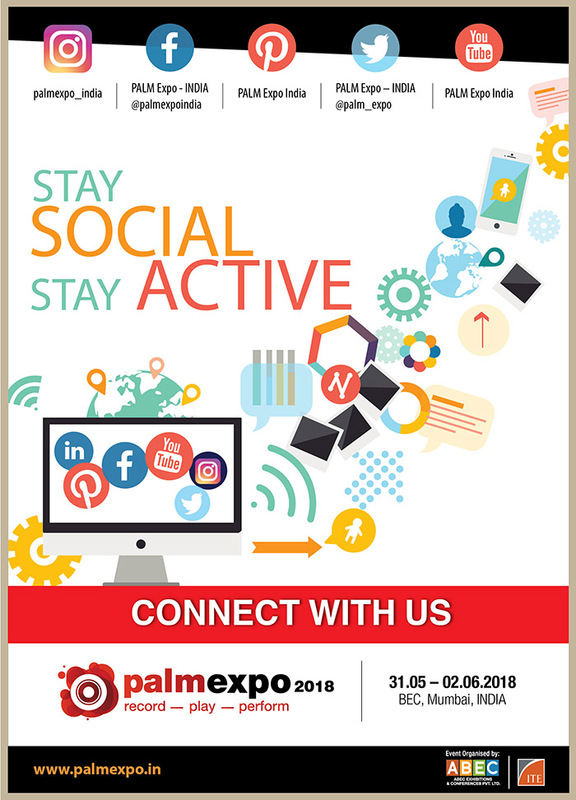 Stay connected on PALM Expo social networking platforms.